Boston University conducted a now famous or perhaps infamous study, depending on the perspective, of NFL players finding Chronic Traumatic Encephalopathy (CTE) in 110 of 111 brains studied. When the study was published in JAMA in July 2017, it sent shockwaves throughout the football community, with some, particularly those associated with youth football seeking to discredit the study because of selection bias of the study samples, though BU researchers readily admit the brains donated for study came primarily from symptomatic players. Former NFLer Merril Hoge and Dr. Peter Cummings recently wrote a book entitled “Brainwashed,” which sets out to debunk the findings of the Boston University CTE researchers, proclaiming the game of football to be under attack. Nevermind that Hoge was one of the first NFLers to bring attention to the league’s concussion problems when he sued the team doctor back in 2000, for mishandling of his brain injury. Two researchers decided to crunch some numbers to see what the data really means and submitted their report to Neurology on July 20, 2018. It was made available to the public on November 28, 2018. 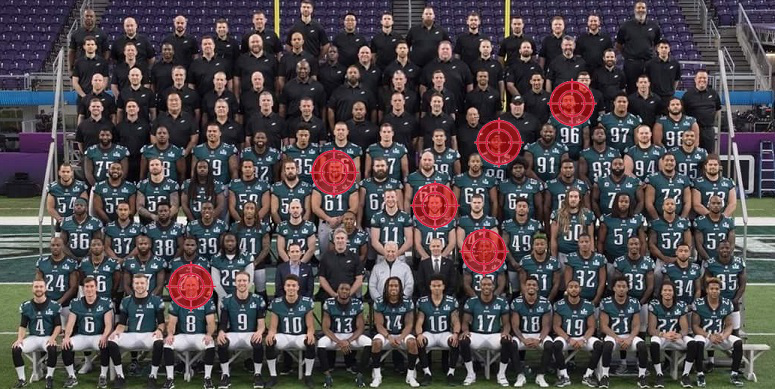 Dr. Zachary O. Binney of Emory University, Atlanta and Dr. Kathleen E. Bachynski of NYU Langone Health, New York obtained a database of all former NFL Players who died between February 2008 and May 2016, the timeframe of the Boston University study. What they found, using only basic arithmetic is startling. 1,142 former NFL players died during the study period. 111 player brains were donated for autopsy. 110 of those brains was riddled with CTE. 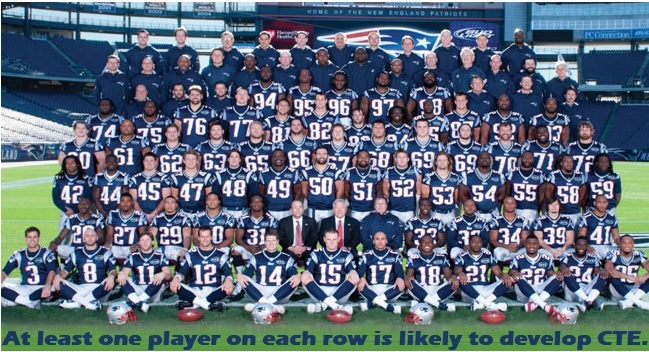 Each NFL team has 53 players. Most teams carry ten more players on their practice squads, for a total of 63 players. 10% would equate to 6 players per team, at any given time destined for CTE. 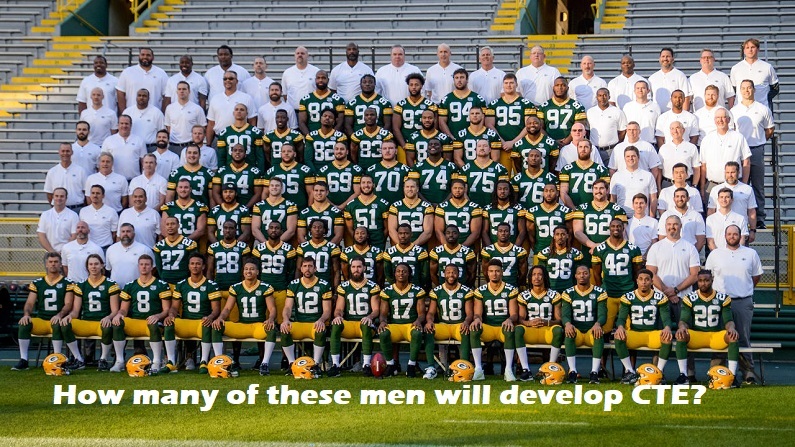 Multiply this by 32 teams and you have 2,016 players, 201 of whom, at minimum, are likely to develop CTE. To accept 10%, one has to assume that every single player who died in the 2008-2016 timeframe and had CTE donated his brain, and that’s a statistical improbability. Drs. Binney and Bachynski believe a more realistic number is between 20% and 50%. The embargo has lifted on @bachyns and my CTE paper in Neurology, and it’s a big one. Headline: prevalence of CTE in NFL retirees is AT LEAST 10% – and plausibly much higher (20-50%). It’s hard to say exactly but my sense is somewhere in the 30-50% range is probable. And of course, CTE does not even represent the full scope of possible forms of brain damage associated with cumulative brain trans. Here are a few images to keep in mind when watching the games on Sunday, Monday, or Thursday. I’m not singling out the Eagles. There are 32 teams in the NFL; all players are equally at risk. Going with the bare-minimums, 6 players will develop CTE. Assuming that 90% of players with CTE donated their brains for study, the likelihood of CTE would increase from 10% to 20%. If only half of the players with CTE donated their brains, that would project that half the players on any team will develop CTE. Who will get lucky and who won’t? While it’s impossible to conclusively determine what percentage of players with CTE donated their brains, it’s highly unlikely that all CTE cases were accounted for since autopsy conflicts with the religious values of some members of the player population. Some families possibly couldn’t fathom the thought of their loved one’s brain being extracted from his body, and others, perhaps didn’t want to know. One criticism of the BU study has been the lack of a control group, which, pardon the play on words, was beyond their control, since they brains available for study were brains donated by concerned family members of deceased players. This doesn’t work, however, because a 2015 Mayo Clinic study did have a control group. 1,721 brains were donated to the Mayo Clinic Brain Bank. The researchers examined the clinical records of the donors and found 66 males who had documented participation in contact sports during their youth and adult years. 32% of these subjects were confirmed to have CTE. Comparatively, none of brains of individuals without documented participation in contact sports had CTE pathology. Drs. Binney and Bachynski indicate their research does not extend to college, high school, and youth football players because of the unavailability of a complete data subset, as was available for former NFL players. Nevertheless, their work should be seen as a word of caution for those who engage in extended football participation. The easily contained and verifiable NFL population shows definitively that at least 10% of players who died within an 8-year window developed CTE. There’s no reason to believe that studies of other time frames would differ, and as more and more people become aware of the dangers, it’s likely more brains will be donated and studied and percentages will increase.